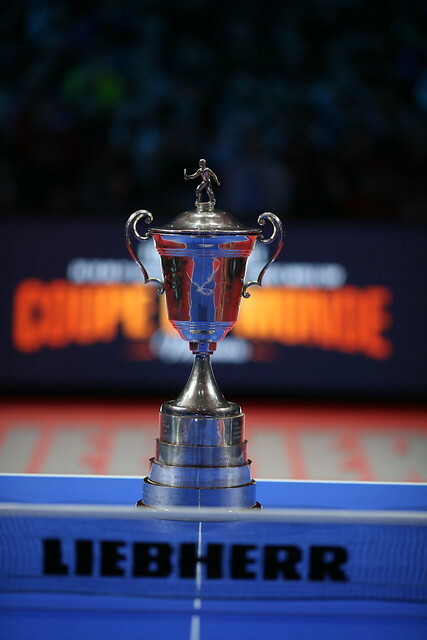 Winner one year ago in Liège, the defence of the title so hard earned by Germany’s Dimitrij Ovtcharov, commences on Saturday 20th October; in the opening round at the Liebherr 2018 ITTF Men’s World Cup in Paris, the no.3 seed, he faces Sweden’s Mattias Falck, the no.13 seed. The status of the players according to ranking suggests that Dimitrij Ovtcharov is the clear favourite but history suggests it could be a very close call. On their one previous meeting on the international stage, at the 2016 Swedish Open, when Mattias Falck was in full cry and progressed to the Men’s Singles final, en route he beat Dimitrij Ovtcharov. Add to the fact that it is the first match of the tournament for the German and he has not enjoyed the greatest of success this year, an intriguing encounter awaits. Similarly, in the same half of the draw, Simon Gauzy, the no.10 seed, with home crowd support is a most formidable opponent for Korea Republic’s Lee Sangsu, the no.5 seed, as is the latter’s colleague, Jeong Sangeun, the no.11 seed for Japan’s Tomokazu Harimoto. Notably, this year it is honours even between Jeong Sangeun and Tomokazu Harimoto; in London at the ITTF Team World Cup the decision went in favour of Tomokazu Harimoto, later in the year in Yokohama at the Asian Cup, Jeong Sangeun gained the verdict. Also, in the lower half of the draw, Germany’s Timo Boll, the no.2 seed, opposes the host nation’s Emmanuel Lebesson, the no.17 seed; undoubtedly Timo Boll, having just been crowned European champion, is the favourite but with a passionate French crowd supporting and two matches under his belt, can Emmanuel Lebesson reach new heights? He has nothing to lose. Intriguing matches; in the opposite half of the draw, the stand out contest is that between Hong Kong’s Wong Chun Ting, the no.7 seed, against Vladimir Samsonov of Belarus, the no.15 seed. Vladimir Samsonov has a debt to settle; last December they met at the Seamaster 2017, ITTF World Tour Grand Finals in Astana, Wong Chun Ting prevailed in seven games. Meanwhile, for the remaining names in the top half of the draw, most challenging contests await, especially for Brazil’s Gustavo Tsuboi, the no.16 seed and Kanak Jha of the United States, the no.18 seed; both face the might of China. Gustavo Tsuboi confronts, Fan Zhendong, the top seed, Kanak Jha for the first time in his career opposes Lin Gaoyuan, the no.4 seed. Notably, Gustavo Tsuboi has lost all four encounters against Fan Zhendong on the international stage; it is not too dissimilar for Denmark’s Jonathan Groth, the no.12 seed who opposes Japan’s Koki Niwa, the no.8 seed; two meetings in world ranking events, both in favour of Koki Niwa. A busy day ahead, both the opening round and quarter-finals will be completed.